About the Book: On New Year's Eve, Callum Ormond is approached by an old man who warns him of the "Ormond Singularity" and that he knows who killed his father-and they are now after Cal. Cal thinks the man is crazy, but then his boat is flooded, he almost drowns and has a helicopter rescue-all in one night! Cal is on the run and trying to solve the mystery of what his father was trying to discover before he died-and he only has 365 days to do it. GreenBeanTeenQueen Says: This book is action packed! The story starts right in and things for Cal just start getting stranger and stranger. It can be hard to find a good suspense read for tweens. Conspiracy 365 is a tween series and it reads like a tween series-I don't really see it getting much interest with older readers, even though the main character is fifteen. But it will be a hit with tweens and they'll be racing to get to the end to see what's next for Cal and his family. I love the idea behind this series-it's one year in Cal's life, so each month a new installment will be released. Yeah, it's gimmicky, but I like it and it's perfect for tweens who can't wait for a new book to be released. I also loved how the page numbers of the book counted down-it added to the suspense of the story and I hope other readers pick up on it. The story reminded me somewhat of The DaVinci Code, with the mystery of the Ormond family, (at least so far-since this is the first of twelve books, it could go anywhere) but I think the appeal in this one lies in the action and adventure that's packed into this book. It's short and fast paced and I would hand this over to reluctant readers in a heartbeat. My brother (who can be somewhat picky about the books he reads) saw me reading this one and asked "hey, what's that book? what is it about?" and once I gave him a brief overview of the plot, he was interested in checking it out. I'd also give this one to young mystery fans or readers who are waiting for the next installment of The 39 Clues. Knowing there are eleven more books in the series, the book doesn't offer much of a conclusion or answers, but the cliffhanger will leave readers eagerly anticipating February. Check out the Conspiracy 365 website for a preview. My 11 and 14 yr olds read it and are eager for the next book! It's being shipped on 1/12!! It's like watching an action movie - keeps you on the edge of your seat on each page of the book. Clean language! Sounds like a great series and to go along with that, my Tween Tuesday selections are about teenage spies. check it out here! Shweta-I like the monthly release too-makes it exciting that it's in real time. Nancyann-You're right-it does have clean language. I'm glad your kids enjoyed it! 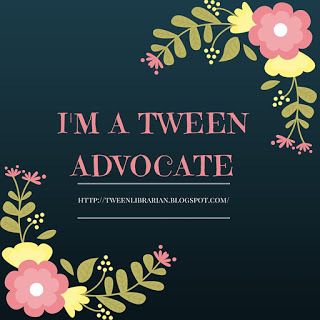 Jana-Thanks for your Tween Tuesday post! Here are two things that have to do with this series that I found interesting. Sheldrake Rathbone's brother's burying business is called Rathbone, Greaves, and Diggory. Rathbone sounds like bones, Greaves sounds like graves and Diggory sounds like digging as in digging graves. Do you think that was intended? Also, Eric Blair was a co-worker of Cal's dad. Eric Blair was also the original name of George Orwell which is a pseudonym (author of Animal Farm and 1984). Is this intended?